Team India achieved the momentous Test series win on Australian soil since India started touring Australia in 1947-48. The Virat Kohli-led team clinched the series 2-1 after a 71-year wait. After the fourth and final weather-affected match at the Sydney Cricket Ground finished in a draw, Team India accomplished what former Indian teams were unable to do. With a great performance in both batting and bowling departments, Team India justified their No-1 status in Test ranking. Despite Cheteshwar Pujara's classic show throughout the series, the rising star was, no doubt, Rishabh Pant. From on-field banters to hitting an unbeaten century, the 21-year-old gutsy Pant proved that he is the one for the future. Pant, who possesses a good sense of humour, enjoyed a colourful Test series and remained in the headlines. This Test series will definitely be an important landmark in his career. Pant scripted history when he became the first Indian wicket-keeper to score a century in Australia. He scored an unbeaten 159 off 189 balls at Sydney to record the highest ever score by an Indian wicket-keeper in an away Test. It was the highest score by an Asian wicket-keeper outside sub-continent. With a total of 350, he was also the second highest run-getter after Pujara in Australia. Besides batting, Pant impressed with his gloves too as he broke the record for most catches - 20 - by an Indian wicketkeeper in a Test series. When Indian lower batting order struggled to score runs, Pant came at the seventh spot, quickly got into the groove and struck some crisp shots to contribute crucial runs for the team lower down the order. The type of game Pant has displayed Down Under, has inspired youngsters and fulfilled what is required to build a stronger team. In his Test debut year, Pant has scored a Test hundred each in England and Australia within months and scored a total of 696 runs. Apart from Tests, Pant has been outstanding so far in Indian Premier League (IPL) as he scored 1,248 runs in 38 matches with a strike rate of 162.71 and in T20 Internationals he has played 10 matches and amassed 157 runs. However, Pant is yet to prove himself in the one-day format since he has played just three ODIs scoring 41 runs. Moreover, he is the top contender to be India's permanent wicket-keeper in all formats of the game when MS Dhoni bids goodbye to ODIs having already pulled out from Tests. Now, the real "test" for selectors is whether to pick Pant in the World Cup, maybe the upcoming ODI series against Australia and New Zealand will decide where Dhoni will be under the scanner. 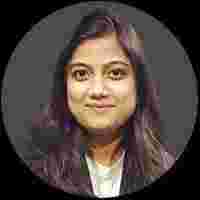 Srishti Singh Sisodia is digital journalist at WION. She has been a college-level football and cricket player. When not working or playing matches, she watches movies. Pant is the top contender to be India's permanent wicket-keeper in all formats of the game when MS Dhoni bids goodbye to ODIs having already pulled out from Tests.